Incorporating age-friendly considerations in community engagement in transportation planning is a key aspect of making a community livable for all ages. 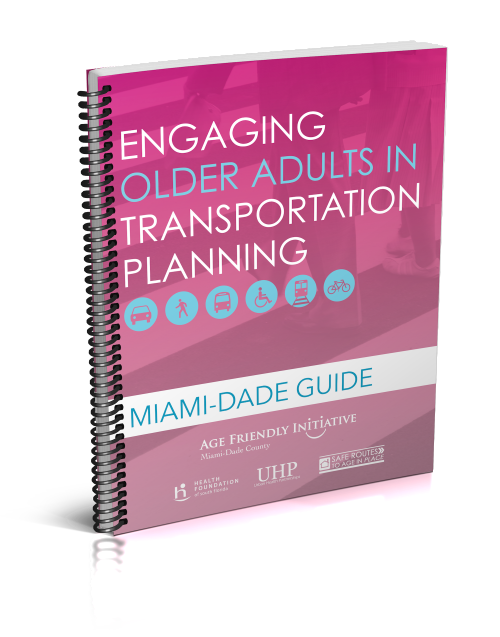 A model and recommendations to provide transportation planners and governing agencies guidance in incorporating older adults and age-friendly considerations into the process is provided in this guide. We encourage you to read through this guide and identify strategies that you would like to implement in your own community. Age-friendly transportation and ensuring that our community is engaging in the planning process, is just one piece of the puzzle as we work toward making all of Miami-Dade County more livable for people of all ages, especially older adults.